Did you know Richard Nixon did not order the break-in of the Democrat headquarters in the Watergate Hotel in 1972? There is just one problem: Nixon didn’t even know about the Watergate break-in until subordinates informed him. ohn Dean had summoned G. Gordon Liddy in November 1971, gave him a half-billion-dollar budget, and ordered him to direct a wide range of surveillance activities against the Democrats. According to Liddy, at the end of May in 1972, Jeb Magruder, who managed the Committee to Reelect the President (whose acronym was CREEP), told Liddy to gain access to the Democratic National Committee and find out what was inside the office of its chairman, Larry O’Brien. In sworn testimony, Liddy identified John Dean as the on who recruited him. Who was John Dean? He was Nixon’s White House counsel. The target of the break-in was a desk area of R. Spencer Oliver and his secretary Ida Wells, not O’Brien. Oliver was in charge of the Democratic state chairmen. The DNC burglars took nothing, but rather photographed some of the materials in the DNC, although Liddy himself didn’t see the pictures. The whole break-in originated with Dean, who worried there was derogatory material about his then-fiancee in Oliver or Wells’s desks. On June 16, 1972, the burglars staged a second break-in—which is almost always referred to as “the” Watergate break-in, to get more photos and material about O’Brien and specifically on the quest for information about a prostitution ring to which Maureen Dean was linked. Howard Hunt, one of those involved in the “dirty tricks,” had notebooks that might have revealed more----except they were destroyed. But one thing is certain: Richard Nixon did not issue the original order. 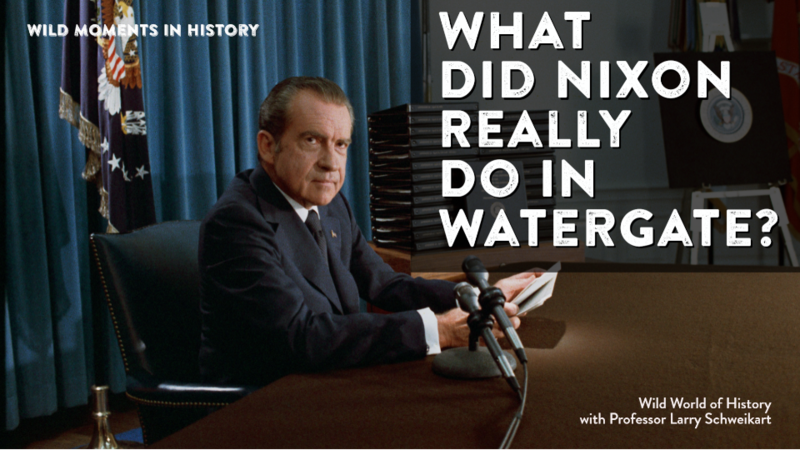 Nixon did participate in a cover up—at Dean's recommendation and under his half-truth briefings. He was later told by Dean that the FBI investigation was about to disclose national security secrets, and had to be stopped. Nixon claimed he first learned of the break-in on June 17, but still didn’t know Liddy had done it until June 20. He wrote in his memoirs, RN, “I asked the same question so many times: Why bug the DNC?” To be clear, Nixon did not hesitate to use the CIA to stop the FBI investigation and was absolutely guilty of obstruction and conspiracy. However, it appears he did not order the original break-in. Court Case: Maureen K. Dean and John Dean v. St. Martin’s Press, Inc., Len Colodny, Robert Gettlin, G. Gordon Liddy, and Phillip Mackin Bailey (1996).